Since we took over the management of our cabins, we decided it would be best to live on-site to better serve our guests. 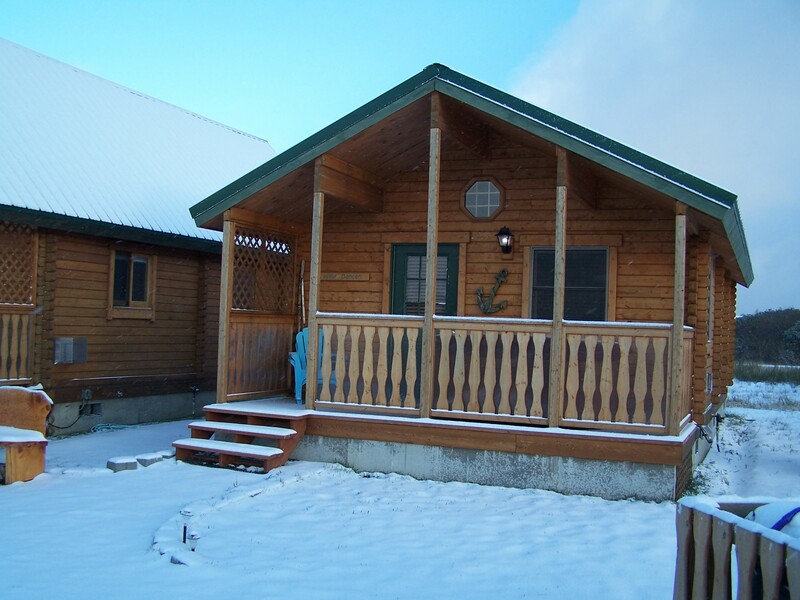 We now live in Wind Dancer, but we have more cabins for you to enjoy! Captain’s Quarters was completed in March 2013, and we’re working on Storm Chaser. Look for it in the early fall of 2013. The master bedroom is very comfortable and features a queen-size bed and a ceiling fan. The second bedroom has a lovely built-in full-size bed with a single bunk-bed above. Wind Dancer has beds to comfortably accomodate up to 5 people. Just like Ship’s Quarters, you can enjoy your own personal hot-tub on the front deck, and this one has room for 3 adults.